The app launches with dozens of iconic titles, including rare silent films, westerns, film noir, musicals and comedies. In addition to such golden age Hollywood fare as Kansas City Confidential (1952), The Film Detective has uncovered and restored such kitschy titles as Flash Gordon Conquers the Universe (1940), The Vampire Bat (1933) and 20 episodes of The New Howdy Doody Show (1976-77). The app refreshes content monthly for timely programming around themes, holidays and anniversaries. The Film Detective also creates original, supplemental content, with legendary broadcast veteran Dana Hersey (longtime star of Boston's WSBK-TV's groundbreaking series, The Movie Loft) offering behind-the-scenes information and fun-facts about the movies. The Film Detective's original content starts with The Outlaw: The Movie That Couldn't Be Stopped, a mini-documentary highlighting the film's controversial journey to success. In addition, the app offers licensed content such as the recently discovered, HD-restored, lost Ed Wood TV pilot Final Curtain (1957); the Oscar-winning documentary The Man Who Skied Down Everest (1975); and such beloved family classics as Sounder (1972). The Film Detective has also licensed the Independent International Pictures library which includes over 200 classic exploitation films, including the Al Adamson collection (Satan's Sadists, 1969). "Our team is excited to bring vintage cinema to life in the digital age through The Film Detective app. It gives consumers a library of content without purchasing DVDs, Blu-rays or subscribing to cable. Viewers can now enjoy old favorites and long-lost gems on demand. This is truly cutting the cord," commented Phil Hopkins, Founder of The Film Detective. The Film Detective uses Zype, the video distribution service for OTT, to manage and publish their premium content and foster relationships with classic movie and TV fans. "A premium subscription service is the natural progression for The Film Detective," said Zype's CEO, Ed Laczynski. 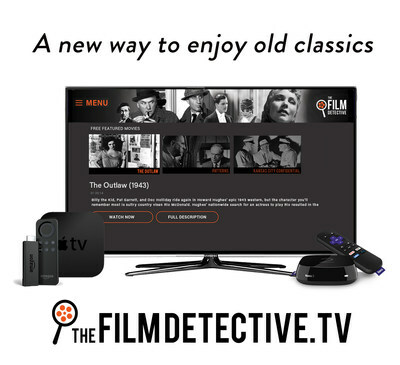 "Zype is thrilled to help The Film Detective bring content to streaming media devices and to help cord-cutters re-discover the classic film and television content they grew up with." Enjoy a free trial period with subscriptions starting as low as $3.99 per month or $34.99 annually. Three films will stream free each month. iOS distribution will be available in 2017. 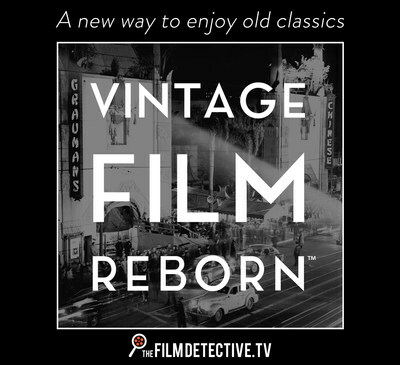 The Film Detective is a leading purveyor of restoration and distribution of broadcast-quality, digitally-remastered programming, including feature films, television and more. Since launching in 2014, the Massachusetts-based company has distributed its library of 3000+ hours on DVD, Blu-ray and digital and television broadcast platforms.